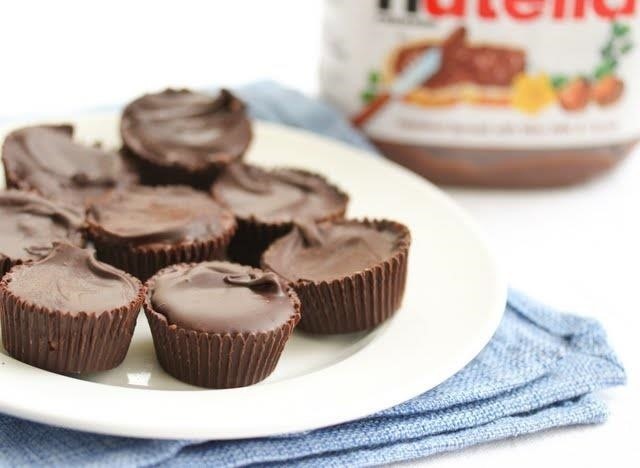 We can't resist a good peanut butter cup—especially when it's homemade. But it's not just the peanut butter or the chocolate that makes us pledge our undying love to these sweet treats over and over again. Nope. What really drives us wild about them is their shape. Yup: we love candy cups. 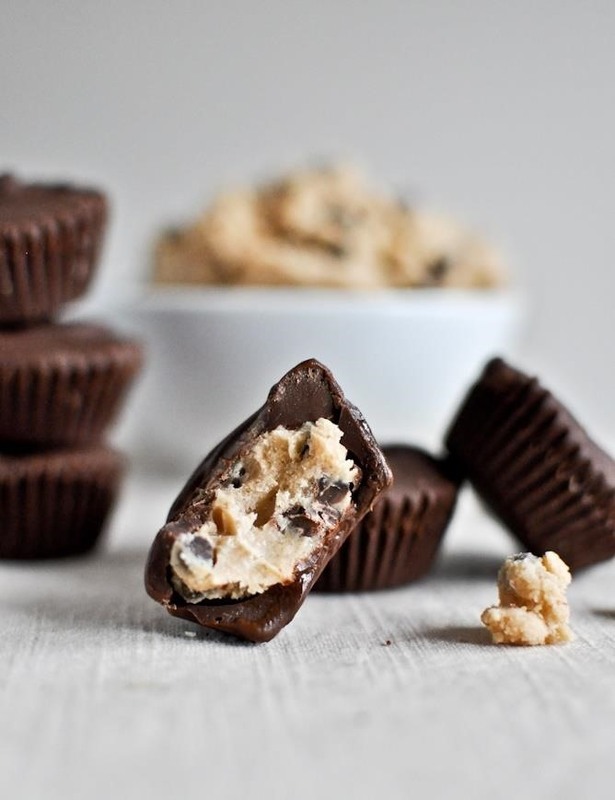 So that got us thinking... what other derivations of the classic PB cup are out there? Turns out there are plenty, and here are just 9 variations on the butter cup theme that you can whip up right in your own kitchen. Matcha isn't just for sipping anymore. 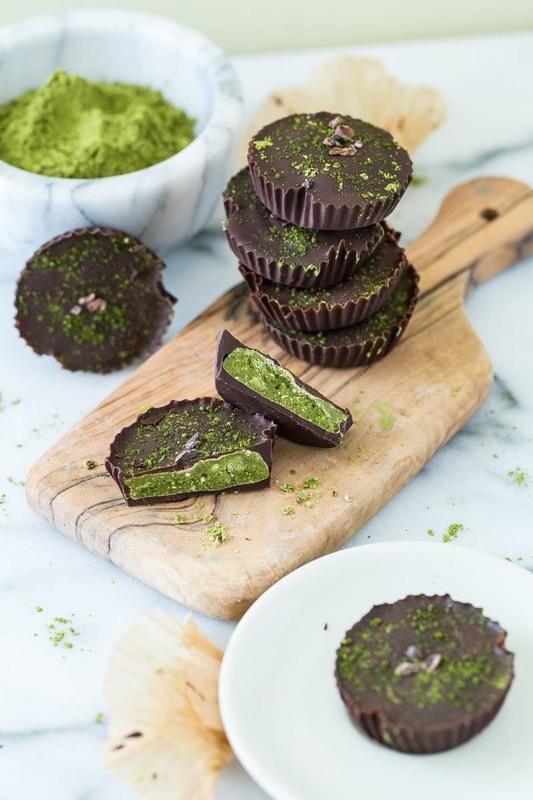 Kristy Turner of Keepin' It Kind combines this green tea favorite with dark chocolate, coconut oil, coconut butter, and almond flour for a more nutritious twist on the butter cup treat. Not only are these pink-hued cups absolutely striking, they have an equally vibrant taste as well. 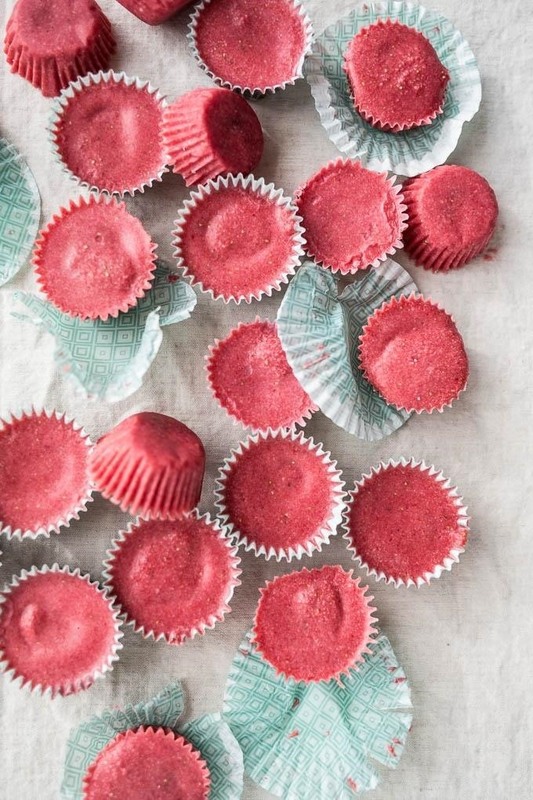 Tessa from Salted Plains makes these no-bake treats with shredded coconut and freeze-dried strawberries (for that pretty pink color) and gives them a decadent chocolate filling sure to satisfy your sweet tooth. Having these chocolate chip cookie dough butter cups from How Sweet It Is on hand makes us a little nervous, as there is no way humanly possible to eat only one. Combining cookie dough and chocolate to create something that is the best of both treat worlds? Genius, Jessica Merchant, genius. 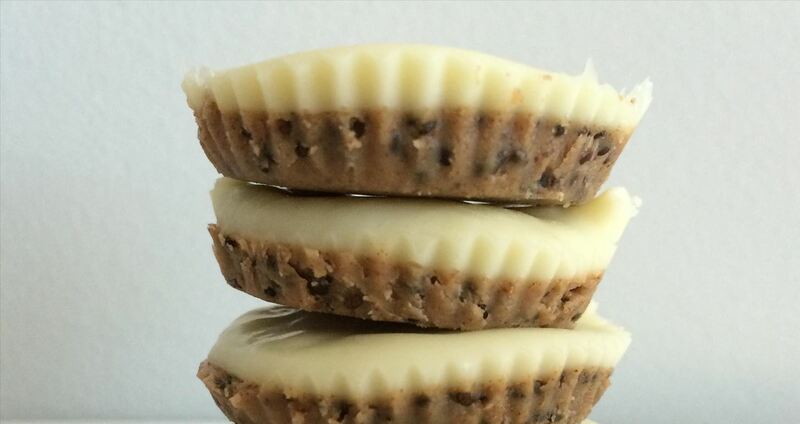 Katie Levans of Honeystuck calls these her "emergency white chocolate almond butter cups"—and for good reason! With only five ingredients and a blissfully creamy flavor combination, these cups can satisfy your most immediate and demanding sweets craving. When in butter cup emergency mode, these are just what the doctor (or chocolatier) ordered. The hazelnut flavor of Nutella paired with a layer of rich chocolate, as demonstrated in Kirbie's Cravings creative creation, is as sublimely wonderful as it sounds. And, even better, Kirbie claims to have come up with this brilliant combo while sitting on the couch watching a movie. Inspiration strikes at any time, doesn't it? 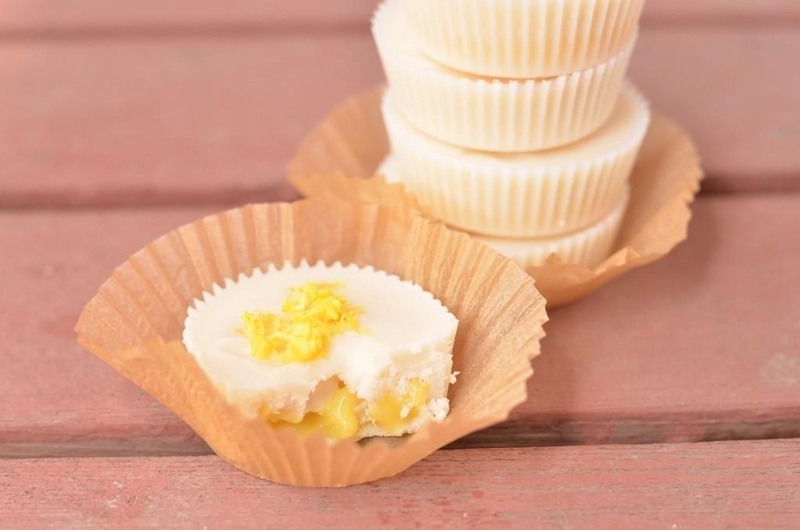 This recipe for Meyer lemon curd and coconut butter cups caught our eye as soon as we stumbled upon it. The fresh citrus flavor of Meyer lemons paired with the creaminess of coconut butter is an amazing match. Erica of Coffee and Quinoa demonstrates how to make these with dark chocolate too. We'll be having one of each, please. 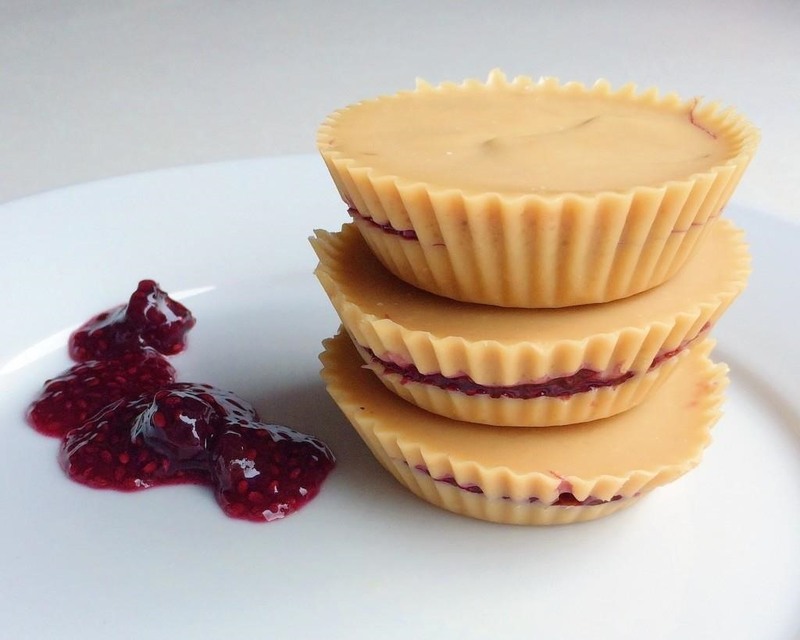 Jacqueline Currie wowed us with her recipe in the Herald Scotland for beautiful blueberry vanilla cashew butter cups. 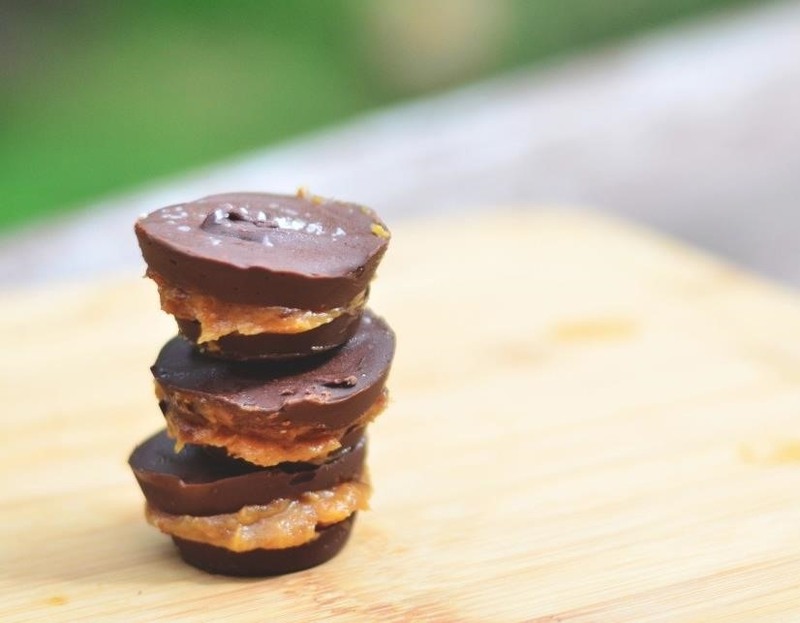 A smooth and creamy paleo snack that satisfies your sweet tooth craving and is low-carb? It seems almost too good to be true. But thankfully, it's not! No campfire needed for these butter cups from Chantelle & The Teddy Bears. Marshmallow fluff, graham cracker crumbs, milk chocolate, softened butter, and brown sugar are the only ingredients needed to make this next-level butter cup. Kumbaya, indeed. With these nine creative combinations, we're now more eager than ever to build up our butter cup game. What about you? 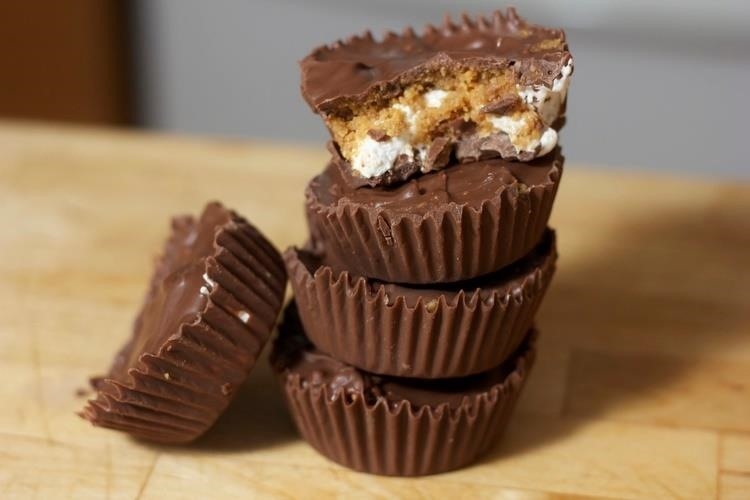 Have any favorites candy cups of your own that didn't make this list? Feel free to share in the comments below!